Once a story has been read, the characters are no longer solely the author’s creations; they are continually reshaped by the minds of readers. 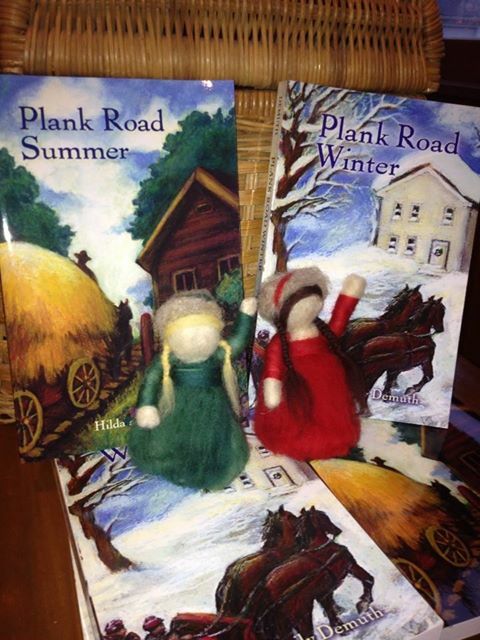 Recently my daughter Kat Lutze literally shaped the Plank Road Summer characters Katie McEachron and Florence Mather by needle-felting little dolls of wool roving, Katie with brown braids and a crimson dress, Florence with fair hair and a green dress. When the dolls were posed with copies of our books for a craft fair in Union Grove, Wisconsin, I was reminded of another artist’s interpretation of the Plank Road characters. In 2009 Kathleen Spale sent several cover sketches to our editor Phil Martin of Crickhollow Books. As you can see here, one of those concepts looks startlingly like the photograph of those felted dolls. 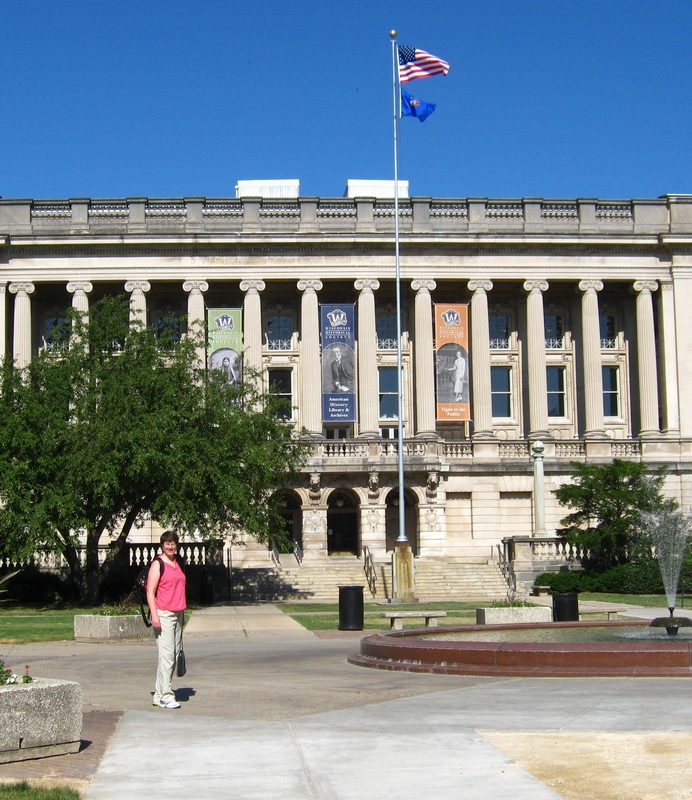 One of our favorite places to write is Madison, Wisconsin, and one of our favorite places in Madison is the Wisconsin Historical Society. On our Plank Road trip back in the summer of 2000, Emily and I made fascinating discoveries in the Historical Society archives. After showing proper identification, stowing our belongings in lockers, and putting on white gloves, we were allowed to touch the artifacts in the Society’s collection of historical images. We were so delighted with our finds–a wagon on a plank road, a tollgate–that we probably annoyed other less excitable researchers in the room. Now that Plank Road Winter is in the hands of our trusty editor, Philip Martin of Crickhollow Books, Emily and I are back in Madison working on our new book. This morning while I attended my class at UW Write-by-the-Lake, Emily spent hours at the Historical Society transcribing a Civil War soldier’s handwritten account. Over lunch at the UW Union we discussed our respective mornings and plotted the next phase of our writing project. 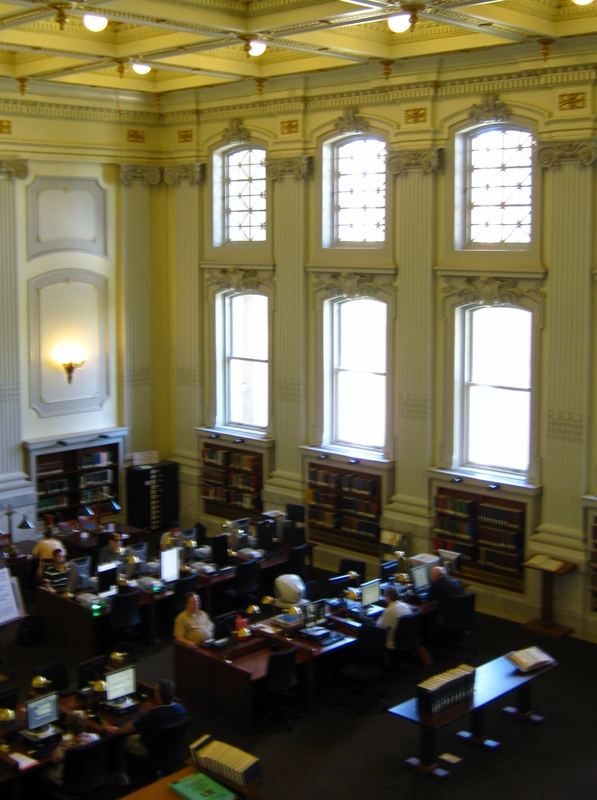 Then we spent a quiet hour together in the beautifully restored Reading Room of the Wisconsin Historical Society. “One of your fans is here.” That’s what an old college friend said to me at his fiftieth birthday party. Don introduced me to eleven year-old Taylor, who had read Plank Road Summer. Our conversation turned to the joys and frustrations of writing. Taylor was working on a fantasy, and she described the setting of the story vividly. When I asked about the characters, Taylor said she hadn’t quite figured out what the main character’s “issues” are. Taylor and I agreed that having trusted readers look over a draft is important. A good editor can suggest changes that will help a writer bring out the real story. I told Taylor that editor Philip Martin of Crickhollow Books had convinced us to cut two chapters from the published version of Plank Road Summer. However, in the early stages of a writing project, an editor might get overly involved. Taylor and I agreed that parents, for example, are generally very helpful, but sometimes they want to change too much. Soon Taylor’s mother and father drifted over toward us, a little curious as to the subject of our conversation. In 1864 Milwaukee, eleven-year-old Hattie Bigelow, who is more interested in baseball than in sewing circles and other women's efforts to support the Union cause, loses her back yard to a garden for the new Soldiers' Home and rebels against her family's expectations in a society transformed by the Civil War. 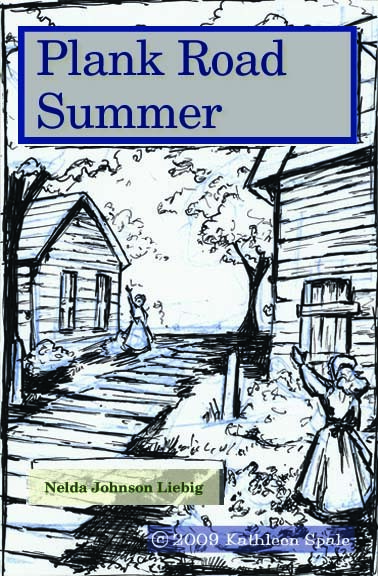 Two 13-year-olds, Katie McEachron and her best friend Florence Mather, experience a new and exciting world one summer, as the plank road brings strangers to their dinner tables and the plight of runaway slaves to their consciences. This middle-grade historical novel is set in rural Wisconsin in 1871, in the aftermath of the Great Chicago Fire and the Civil War, as young Sophie and Hans deal with issues of family, friendship, and the importance of making good choices in difficult times.